Today I’m linking up with Modern Mrs. Darcy to share what is saving my life lately. coconut oil – Being a 30 something nursing mom in the winter means DRY SKIN. ugh. 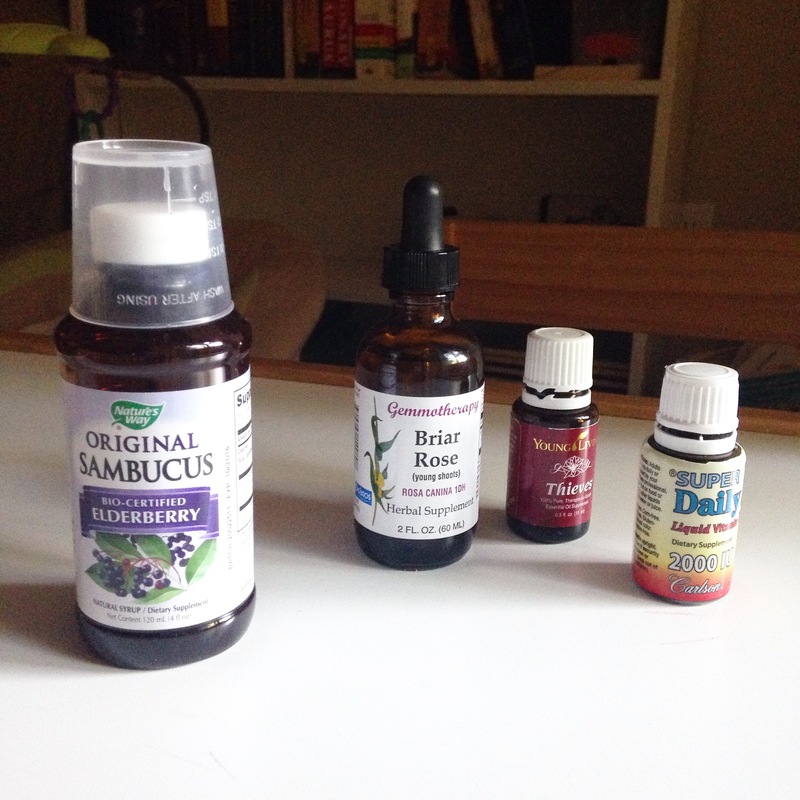 elderberry syrup / briar rose / vitamin D3 drops / Thieves essential oil – Who says there isn’t a cure for the common cold? Because this is it. This combo has cut the two colds I’ve caught this season down to 1-2 days each. Crazy! Kindle – I can count on one hand the number of physical books I read in the past year. I can fire up the kindle when it’s dark and the baby is sleeping just inches away, or the Kindle app when I’m in the car and have a few minutes downtime. I NEED books so I NEED my kindle. no sugar – When I was in the midst of gestational diabetes I would never have thought it a blessing, but cutting out sugar lately has helped stabilize my moods and shift some of the lingering baby weight. win-win. MOPS – I needed friends in my life stage and I love my table. We have lots of fun when we get together. perfume – I am deep in the trenches of mothering young children which means I’m more likely to smell like pee or spit-up than shampoo or deodorant, so spritzing on some perfume (Woman in Yellow from Anthropologie) helps me feel human and feminine. The Divine Hours / Book of Common Prayer App – I don’t come from a church tradition that uses set prayers, but in my exhaustion and distraction these prayer are helping me focus my thoughts. Evernote. My brain outside my brain. My son’s therapists. They help us, teach us, and encourage us. We love them. Overdrive App. Thousands of ebooks and audiobooks at the touch of a button. And they automatically download when my name gets to the top of the hold queue. And they automatically return so there are no fines. Selah. Dallas Public Library. Hands down the best part of living within Dallas City Limits. hypoallergenic formula. After 8 months of sleeping in 1-2 hour increments, we finally have a baby who is satisfied and growing. I’m a die-hard breastfeeding believer and it took a lot to convince me to try it, but this stuff is literally saving my life. *This post contains affiliate links. I’ve never tried this before, but many bloggers use these to get tiny commissions on purchases made due to their recommendation. I am off to look into that book of common prayer app! Thank you for suggesting it. I can’t believe I forgot to put Instagram on my list. It really is my happy place!